Two final-year students at Moi University in Kenya are aiming to empower Africans to tell their own stories, developing a platform for people to post content produced through mobile journalism. 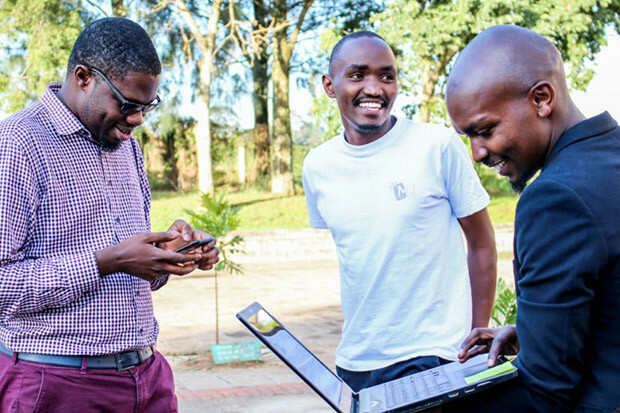 Having been inspired by a panel discussion on mojo at a MentorMe Project conference, Marvin Gakunyi and Emmanuel Yegon, students of communications and journalism, have built a 10-strong team of volunteers at university, who have been working as editors on the site since January. “In our generation, everybody is a storyteller,” Gakunyi explained. Although Moi University does not have its own mobile journalism course, the pair organised a mojo conference of their own, aiming to help inspire fellow students to not only tell stories with their phones, but to teach them about digital safety and how their smartphones will change the way they work in the future. “The theme of the conference was ’the future of storytelling',” said Yegon. Held at the university with the support of the journalism department, over 90 students listened to free speeches, workshops and presentations, tweeting on the hashtag #MoJoMediaConference. “During the day, we showed them the stories we have made with our phones, and encouraged them to go outside and try themselves – it’s really a case of experimentation during our breaks and seeing what we can do with our phones, this isn’t something that is in the curriculum yet,” he said. “A lot of stories from the remote areas in Africa go untold, but our stories are best told by us – no one can come from outside and tell our stories better than us, we understand our situation and the context behind it. “Now we have ‘pocket studios’ – the smartphones – to tell our stories." The two students, along with their peers Kenneth Muimi, Victor Omath, Eric Oyier, Ruth Njuguna, Abraham Obunga, Daniel Kimathi and Derrick Ngaira, hope that people will submit their stories to the website. They are looking to partner with the Media Council of Kenya to be able to offer training to citizens in how to use their phone, and help those looking to work within the journalism industry.